It's time for another inspiring seminar with Dan Harden in Oslo, Norway. This will be Dan’s seventh seminar in Norway and we’re excited to further explore his body work method with fellow martial artists. Please see at the bottom of this page for information about the actual seminar content. In order to reserve your spot for the seminar, transfer the payment as soon as you can, in case it gets overbooked. Please MAKE A NOTE in PayPal, in your payment, that you are going to the Seminar in Oslo, Norway, August 2018. 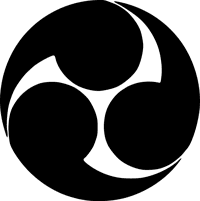 FORWARD a copy of the Paypal receipt to post@sangenkai.no and matei.rg54@gmail.com so we know you’re registered. If you have trouble with PayPal, contact Kristoffer or Matei at post@sangenkai.no or matei.rg54@gmail.com and we will see what we can do (can act as PayPal proxy if needed). The expenses for renting the Aikikan Dojo will be divided among the participants. Please transfer 150 NOK via PayPal to matei.rg54@gmail.com. Catch bus no. 31 or tram no. 17 to "Rosenhoff" station. This seminar will be informal and casual. Clothing will be sweats or shorts and T-shirts. No GIs (uniform), no budo affiliated T-shirts. This is a closed seminar with no pictures, video, or visitors allowed. You are strongly encouraged to bring a notebook. The seminar fee does not include any meals. Friday 10th (AIKI WEAPONS): 10.00-13.00 / Lunch / 14:30-18.00. NOTE: Previous attendees only! Saturday 11th (INTERNALS): 10.00-13.00 / Lunch / 14:30-18.00. Monday 13th (AIKI WEAPONS): 09.00-12.00 / Lunch / 13.00-15.30 NOTE: Previous attendees only! We will organize a dinner at a local restaurant on Saturday evening. Chances are it will be at Nighthawk Diner at Grünerløkka (Dan's favourite place in Oslo). Travel to Oslo Lufthavn Gardermoen (OSL). The fastest way to get to downtown Oslo is by using the Airport Express Train / Flytoget (20 mins), or the Airport Express Bus (www.flybussen.no). Stop is Carl Berners plass, which is close to the dojo. 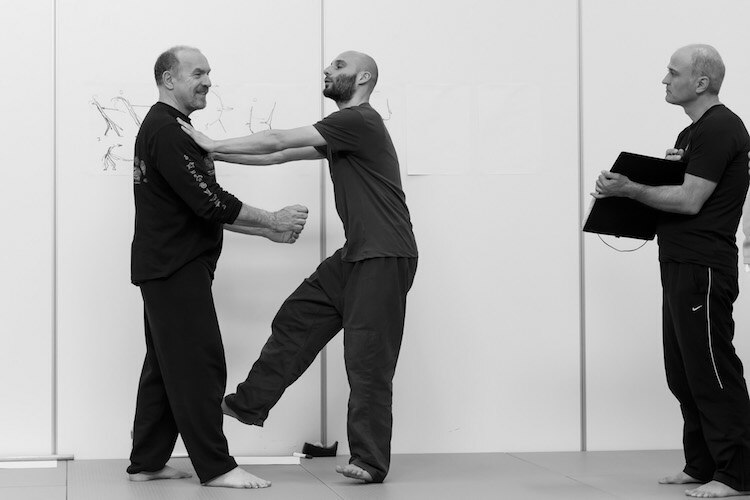 The seminar is offered in a friendly, neutral environment, with an emphasis on learning and understanding internal power and aiki as a basis for martial movement in a global sense, while undertaking the difficult task of integrating those skills and concepts into your own martial training. The seminar review and expand the internal martial arts principles that have their roots in ancient Japan and China, but are so often poorly understood. Dan will outline the training in such a way as to make their relevancy to martial movement immediate, clear and accessible. The material covered, while benefiting Aikido greatly, will not be "specific" to just the aiki arts like Aikido and Daito ryu, but any grappling or striking art, so teachers from other disciplines are welcome. In addition to internals, Dan will teach two days of weapons. This is his take on using japanese, traditional weapons like the bokken, naginata etc, with aiki. NOTE: The weapons training is for those who have attended previous seminars with Dan only. More info about the Sangenkai method Dan teaches can be found on Dan's bodywork seminars site. Looking forward to seeing you at Dan's seventh seminar in Oslo!